There has been a long standing correlation between gum disease and certain types of cancer among older women, but relatively few long-term studies that prove an undeniable association between the two in this specific demographic. Recently, the scientific findings in this area are becoming more concrete, as outlined in a study by Cancer Epidemiology, Biomarkers & Prevention. The research determined that women, particularly post-menopausal women, who suffer from gum disease are at least 14% more likely to develop cancer than women with healthy teeth and gums. This is the first study to specifically investigate the relation between gum disease and certain cancers among older women. The findings of increased cancer risk for this particular demographic also take into consideration the fact that risks for both gum disease and cancer increase with age. Men, this affects you too. The Cancer Epidemiology, Biomarkers & Prevention report is simply the first in-depth analysis of the experiences of post-menopausal women in regard to associated higher cancer risk. 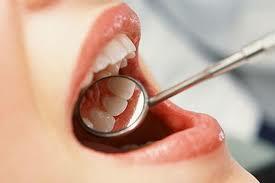 A link between older men, gum disease and cancer has already been established. The link appears to be strongest for esophageal cancer, but associations were also found between poor oral health and lung, gallbladder, breast, and skin cancer. The study looked at data from nearly 66,000 postmenopausal women, ages 54 to 86, who were followed for about eight years. At the start of the study, they completed a health survey and reported whether they had ever been diagnosed with periodontal disease, an inflammation off the gums that can lead to tooth loss. During the study’s follow-up period, about 7,100 of those women developed cancer. Overall, those with a history of periodontal disease were more than three times as likely to develop esophageal cancer—and nearly twice as likely to develop gallbladder cancer—than women without. Their risk for lung cancer, skin melanomas, and breast cancer was also increased by 31%, 23%, and 13%, respectively. 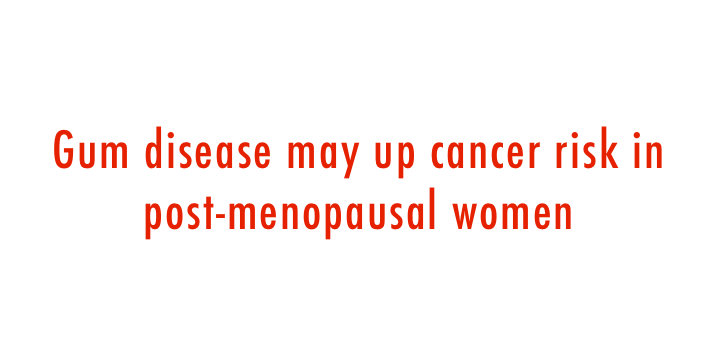 Read a summary of the study from TIME Health. To schedule an exam with Dr. Elan Salee to evaluate your risk factors and potential treatment options, please contact The Boynton Dental Studio at (561) 732-8700.